Verderame progetto cultura works on education. The Association works also to bring its experience to young people who want to construct their career in the cultural heritage sector, with particular attention on tradition but also on new technologies, trying a union between ancient and modern and especially between theory and practice. Our maxim would be “to learn to do” through the elaboration of workshops inside museums or in partnership with the Italian Ministry of Cultural Heritage and universities. After years of experience we are aware that surplus value of global education is losing itself in the educational details; instead, working on cultural heritage means know more dialogues and have a multidisciplinary education to allow to work better between the different careers. 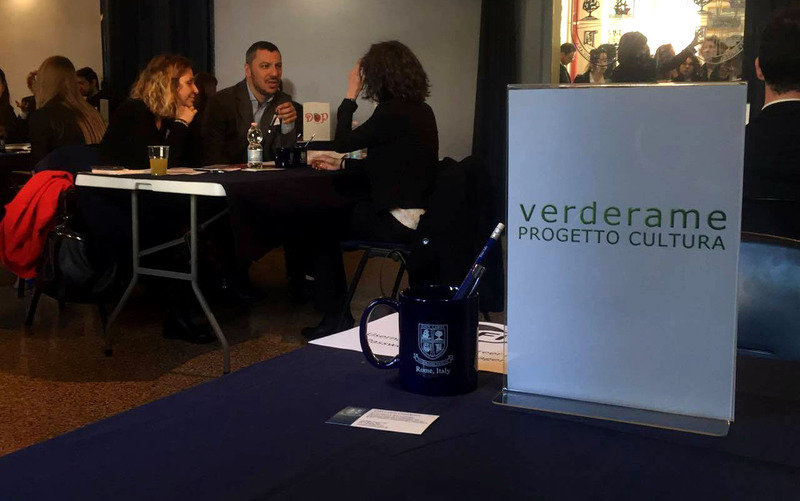 Since 2017 Verderame progetto cultura works on education post lauream. 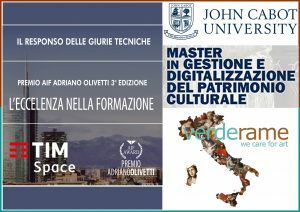 In partnership with John Cabot University of Rome, it presents the post-graduate course in “Management and digitization of cultural heritage”. The course is for graduate in humanistic and classical studies, or for graduate to high education and restoration schools, the aim is to build professional figures highly specialized in the Cultural Heritage sector. Starting from the technical knowledge of the artworks, the course develops skills about the fundamental diagnostic techniques, preservation science and enhancement strategy. The instruments of digital techniques, management, marketing and communication are privileged. The course is in an international context and develops with lessons in class, company cases, project works and stage at one of over 400 partner companies/organizations of John Cabot University. The stage experience could start during the studies course to enable the practical application of the knowledge learned in class. Zètema Progetto Cultura (Roma Capitale) has conferred its sponsorship to the master. AIF- Associazione Italiana Formatori has given the prestigious award “Adriano Olivetti” to John Cabot University for the master in “Management and digitalization of cultural heritage”. Read the article here. The course was established on the basis of funding from the Lazio Region obtained following an open selection procedure in order to promote training initiatives to be carried out within the Center of Excellence – Technological District for new technologies applied to cultural heritage and activities cultural – DTC Lazio – which is the leader of the Sapienza University of Rome and which involves the public universities of Lazio (Tor Vergata, Roma TRE, Cassino and Viterbo) together with the CNR, ENEA and INFN. The course – carried out by Sapienza University of Rome in collaboration with the Archaeological Park of the Colosseum, the University of St Andrews, and with the participation of representatives of the Carabinieri Command for the Protection of Cultural Heritage – has as its objective the formation of new professional profiles capable of effectively interacting within the multidisciplinary sector of public and private cultural heritage, both within the competent public administrations, and in companies operating in the sector. In this perspective, the Course provides specialist skills related to the national, European and international legal framework, management and financial aspects related to the implementation of projects for the use, protection and enhancement of cultural heritage; the modalities of European planning with particular regard to the juridical aspects and to the creation of partnerships, fundraising, marketing, management and communication in the sector. As part of the course, students have the opportunity to learn about the most modern technologies for using cultural heritage, from empathic ones such as digital storytelling, 3D reconstructions and augmented reality, to those functions to research, protection and enhancement, of which the related legal problems will be studied. The attendance of the Course allows to achieve a highly qualifying and innovative specialization for professionals who intend to operate within the Cultural Heritage in public administrations, with particular regard to superintendents, museums, archaeological parks; in public and private enterprises operating in the management of cultural heritage and publishing, in ICT and in the cultural and tourism industry; in third sector entities.